Once the three liners has been installed and adjusted to the curves and various depths of the pond, you can proceed to fill it slowly. 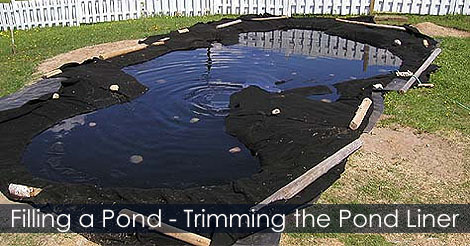 To keep the pond liner underlay in place to the pond bottom, add stones or lumbers over it. 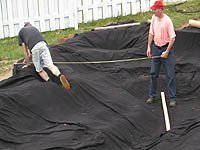 If needed, adding sand under the first liner for leveling pond edges. 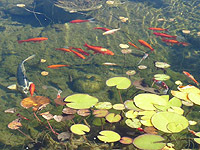 Learn how to fill a garden pond and trim the pond liner.